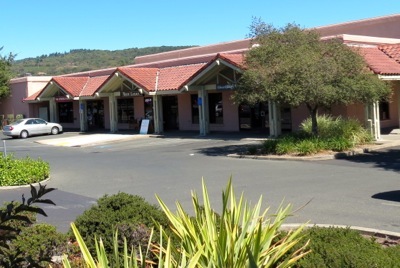 Olde Bowl Centre is a two-building commercial complex located on Sonoma Highway (State Highway 12) just over a mile west of Sonoma Plaza. Wagner Management and its principals have managed this building for over 25 years. Current tenants include: Amedisys, a leading home health and hospice care company delivering personalized home health and hospice care; Body Karma offers therapeutic massage therapy as well as an array of bulk and prepackaged body care products; Edward Jones, offering personalized investment services; the Fitness Factory Athletic Club offers standard cardiovascular and gym equipment, personal training, racquetball and basketball courts, tanning beds, and child care; RealCare Insurance Marketing, an independent insurance agency; and Sonoma Valley Hospital.